Canadian Brooke Henderson carded a 4-under 67 on Friday to pull two shots ahead at the midway point in the LPGA Tour's season-opening Diamond Resorts Tournament of Champions. The elite 26-player field competing at the Four Seasons Golf and Sports Club in Lake Buena Vista, Fla., is made up of LPGA winners from the past two seasons. Henderson, whose bogey-free round featured birdies at Nos. 4 and 7 on her way to a front-side 32, looked like she might go even lower on the back nine after two more birdies at Nos. 10 and 11. But she failed to capitalize on birdie opportunities coming down the stretch and made seven straight pars to finish the second round at 10-under 132. "I feel like overall I hit the ball very well. It was just a couple holes that were a little shaky; that might be just coming out of the offseason," Henderson said after her round, noting she didn't touch a club for two weeks during her time off. "But on the whole, I was able to get up and down. The rest of the time, I was giving myself great birdie looks. They just didn't fall today, as many as I would have liked." The seven-time LPGA title winner said she's comfortable in the lead heading into the weekend, despite "a little bit of inconsistency." "It's always fun to be in the final group and be in contention. It's what we play for pretty much every single week," said the 21-year-old, who won twice last year. "It's only the halfway point, but I still need to make a lot of birdies and keep hitting it to win." Reigning LPGA Player of the Year Ariya Jutanugarn, the current world No. 1 from Thailand, also fired a 67 on Friday to move into a tie for second with South Korea's Eun-Hee Ji (69) and New Zealand's Lydia Ko (68). Mirim Lee of South Korea is alone at 7 under after posting a second-round 68. Jutanugarn said she was pleasantly surprised by her Round 2 performance considering she felt her play was somewhat erratic. "I didn't expect to finish 4 under at all today because I was hitting it everywhere," she said after her round. "I kept missing fairways and greens, so I'm really happy about that. ... I have to work on everything and a lot (going into the weekend) so I'm just going to work on it after this." 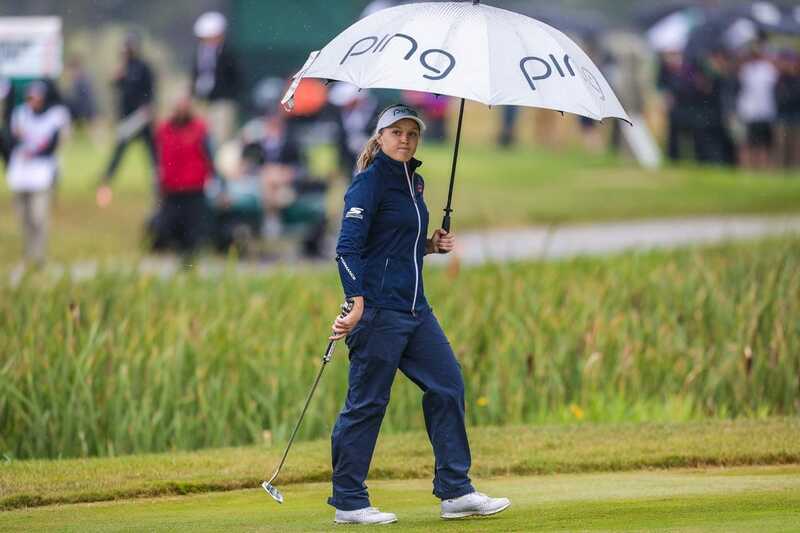 Americans Marina Alex (67) and Lexi Thompson (69) are tied at 6 under, while three players are tied for eighth at 5 under -- American Nelly Korda (67), Mexico's Gaby Lopez (68) and Thidapa Suwannapura (69) of Thailand.